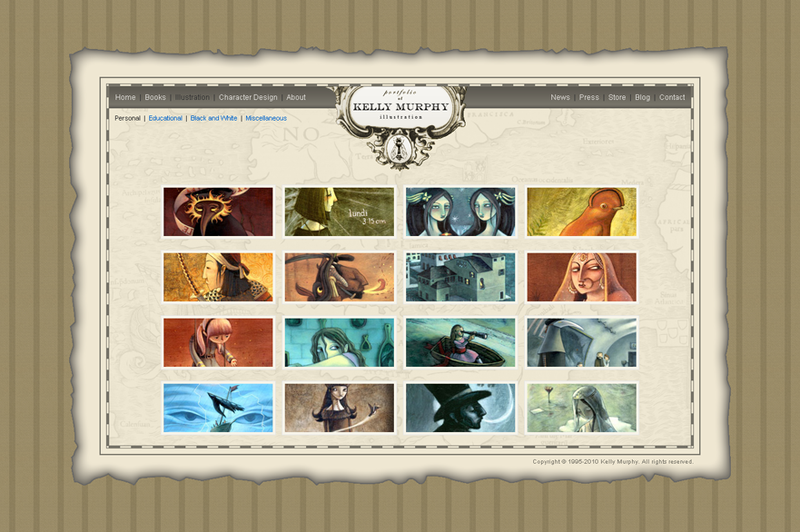 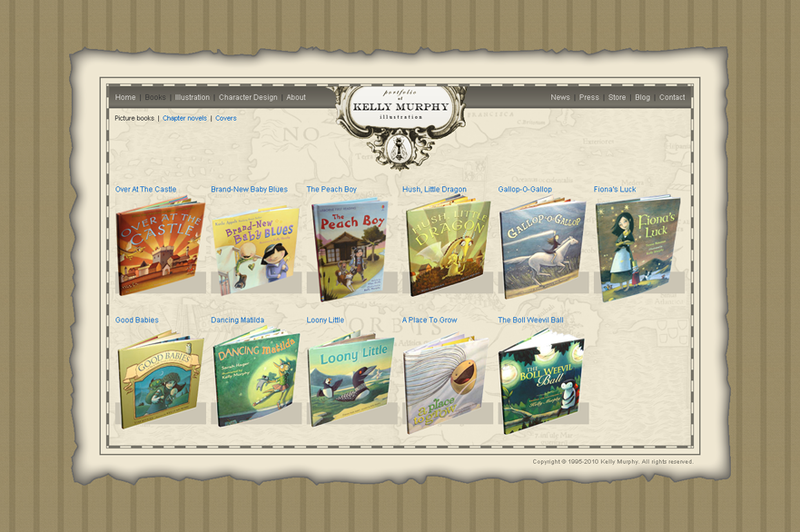 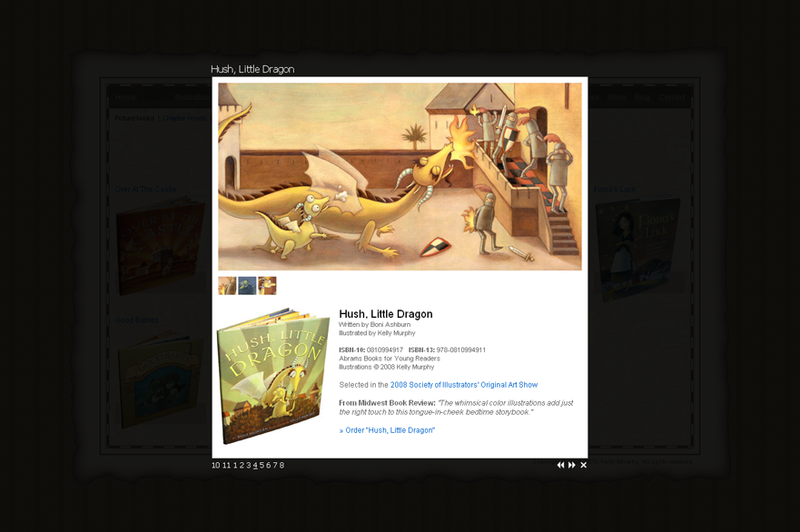 The site showcases the artist's picture books and illustrations. 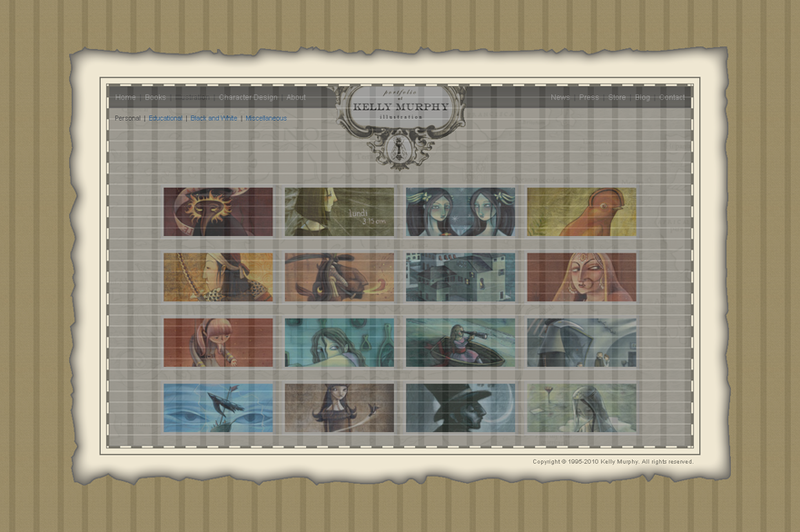 Grid underlying a modular design. 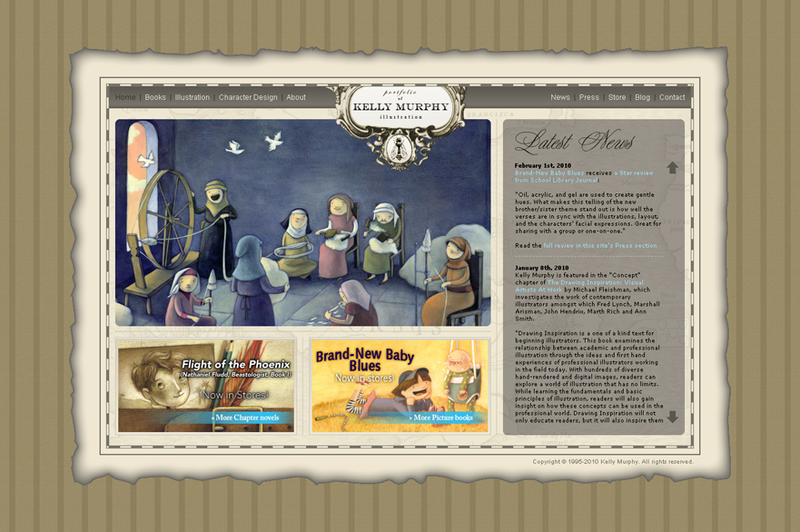 It is echoed in the websites' background pattern.